The Berlin Medical History Museum is located in the former museum building of Rudolph Virchow's Pathological Institute, presenting medical history over the past 300 years from 1726 in its permanent exhibition 'On the Trace of Life'. The Berlin Medical History Museum is located in the former museum building of Rudolph Virchow's Pathological Institute, presenting medical history over the past 300 years from 1726 in its permanent exhibition 'On the Trace of Life'. It displays over 750 artifacts comprising pathological-anatomical wet and dry specimens as well as models, graphics, and medical equipment and instruments. 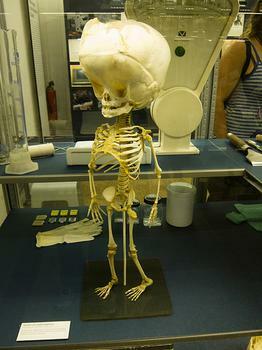 Temporary exhibitions highlight different aspects of current medicine and medical history. Guided tours are available in English and German.